Earlier this month, Mark Souther and Meshack Owino traveled to Kenya to meet with project partners in the National Endowment for the Humanities Office of Digital Humanities Start-Up Grant “Curating Kisumu: Adapting Mobile Humanities Interpretation in East Africa.” Owino and Souther and the Center for Public History + Digital Humanities are collaborating with Maseno University, based in Maseno, Kisumu County, Kenya, to develop, adapt, and study uses of MaCleKi, a new Curatescape mobile app that will curate Kisumu and the surrounding area in western Kenya. “MaCleKi” is an acronym chosen by Maseno University Department of History and Archaeology chairperson Gordon Obote Magaga to combine Maseno, Cleveland State, and Kisumu. During their visit, Souther and Owino and their partners held meetings to discuss project conceptualization, technological challenges, and sustainability, trained Maseno faculty and students in the use of the project’s Omeka-based dashboard, did wireless speed tests at multiple locations, and signed an MOU with Maseno University Vice-Chancellor Dr. Dominic Makawiti. 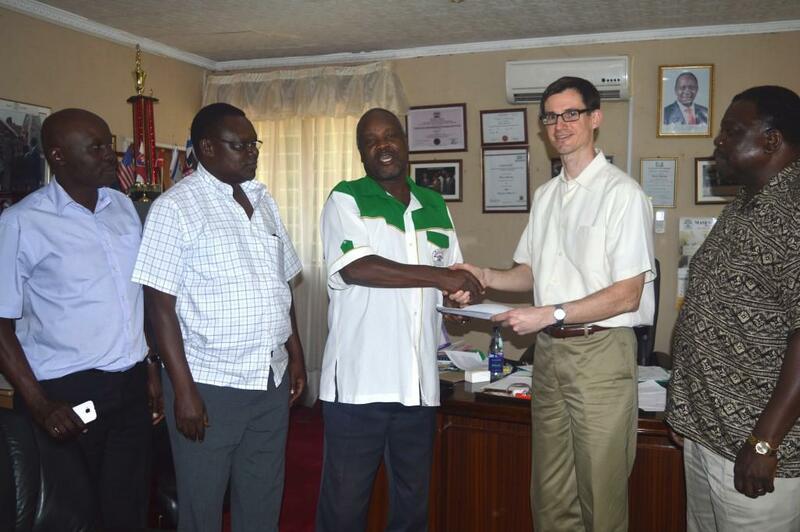 “Curating Kisumu” supports the university’s growing commitment to public outreach and international collaborations and has drawn enthusiastic support from the Vice-Chancellor and Dr. Felix Kioli, Dean of the School of Arts and Social Sciences (SASS). Chairs and other faculty from six SASS departments as well as a handful of students attended the project sessions. The visit also offered a day for touring significant sites in Kisumu and the western Kenya region, including an arranged visit to the Siaya County farm of Sarah Obama, President Barack Obama’s step-grandmother. Owino and Magaga are collaboratively teaching courses in spring and fall 2015 in which CSU and Maseno student teams develop geolocated stories for the app. Magaga and his colleagues will also survey their students on their mobile usage to guide the project’s technical development. MaCleKi will be the first humanities app of its kind in Africa. It offers an opportunity to explore ways of tailoring a rich multimedia experience to a setting in which mobile device usage is high but access to ample data plans is low. More than a technical exploration, however, the project also promises to create for the first time a collection of scholarly but widely accessible multimedia stories about places in Kisumu County that reflect important themes in African history and society, including colonialism and land settlement, racial discrimination, religious communities and spaces, trade, public health, and political movements. 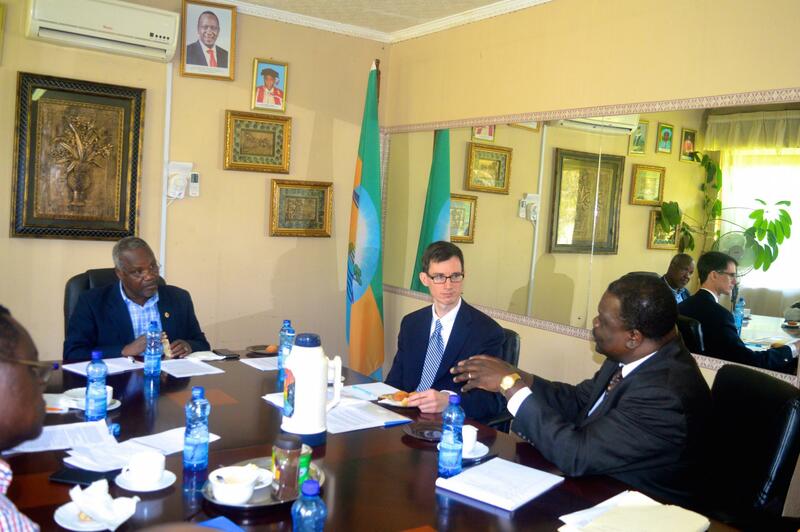 Souther and Owino will work with their Kenyan partners plan to identify opportunities for local and regional partnerships that will help sustain the project locally and extend it beyond Kisumu. They plan to submit an NEH implementation grant proposal in early 2016 to scale the app across Kenya, develop faculty exchanges in support of content creation, and explore opportunities to make Maseno University the exclusive provider of Curatescape services in East Africa. Located on Lake Victoria in the Great Lakes region of East Africa, Kisumu is Kenya’s third largest city. 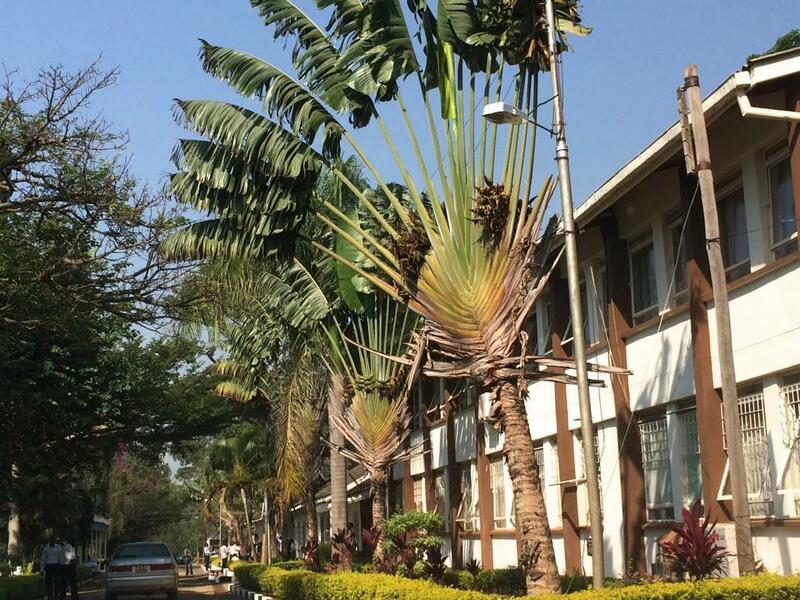 Maseno is a public university with more than 15,000 students on four campuses, including an urban campus in Kisumu’s central business district. Curatescape is a mobile humanities framework developed from the pilot project Cleveland Historical at the Center for Public History + Digital Humanities by Mark Souther, Mark Tebeau (Director of Public History at Arizona State University), and Erin Bell. MaCleKi will join some three dozen Curatescape apps on four continents. Maseno University’s main campus, shown here, is located in the town of Maseno, 25 kilometers west of Kisumu. 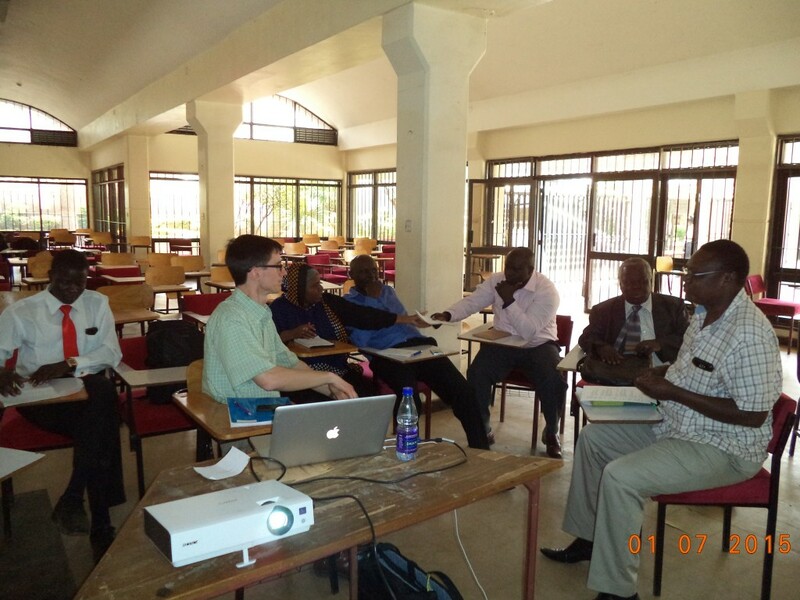 The project team held some of its planning and meetings and training sessions in classrooms at Maseno University’s Kisumu City College Campus. 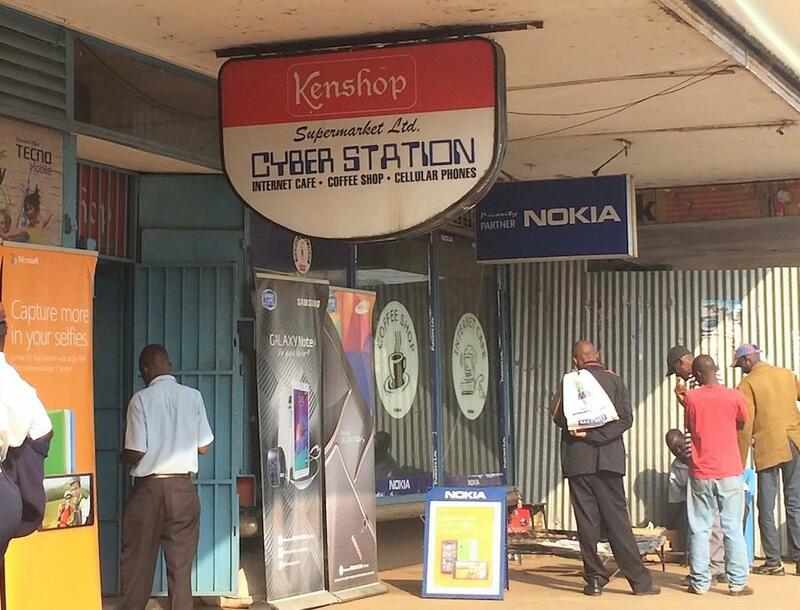 Cyber cafes, cell phone stores, mobile money transfer and mobile commerce services, and (in remote locations without electricity) phone-charging kiosks are ubiquitous in Kenya. According to a recent study by Pew Research, well over 8 in 10 Kenyans use mobile phones, and most who do use social media and mobile money-transfer services. Smartphone penetration in Kenya has also accelerated, with smartphone sales overtaking feature phone sales in 2013. Project leaders arranged a visit to the homestead of President Barack Obama’s step-grandmother, Sarah Obama, in Nyang’oma Kogelo, Siaya County. 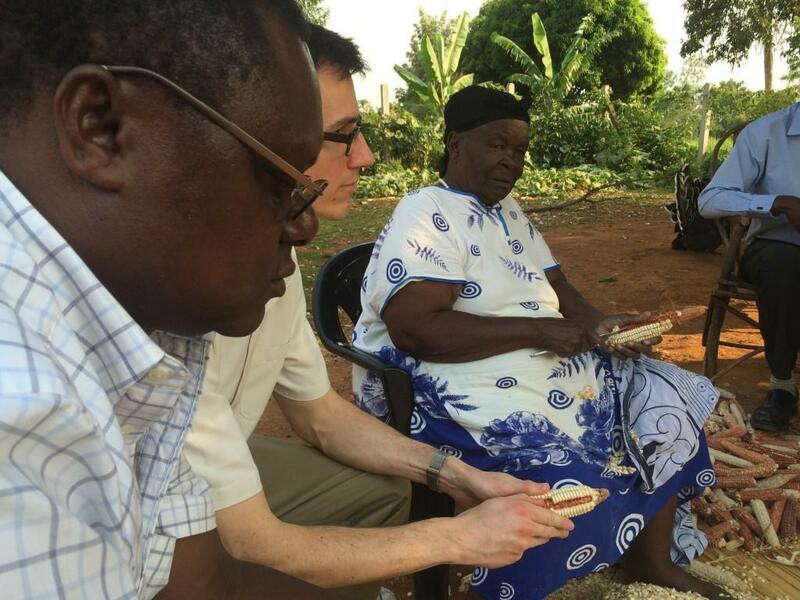 “Mama Sarah,” as she is often called, shared stories in Luo as she shelled corn from her harvest. 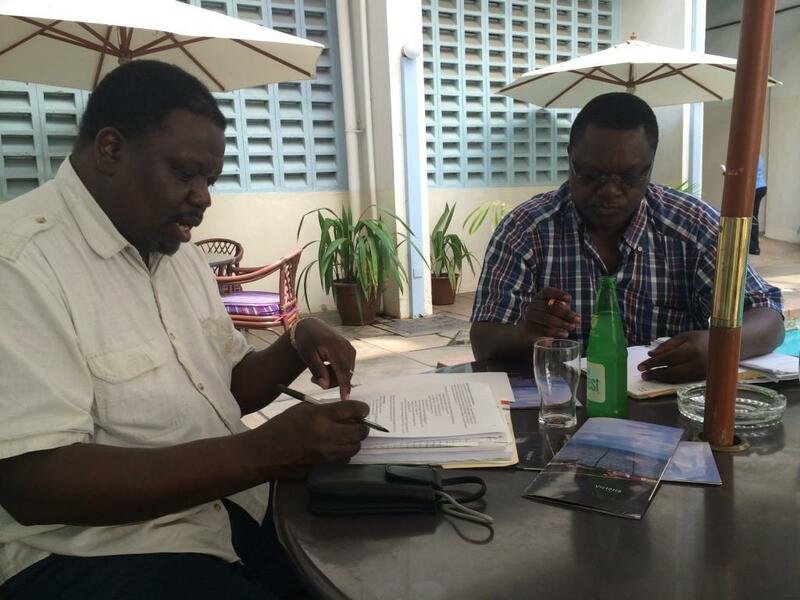 Meshack Owino (Cleveland State University) and Gordon Obote Magaga (Maseno University) finalize their spring semester course plans for incorporating MaCleKi app content curation by Maseno-CSU student teams.